Julie Ann Earls stars as Megan Jones, the reluctant Puff who dreams of following in the footsteps of her wicked family and becoming a Slytherin, in the hit off-Broadway comedy Puffs, or: Seven Increasingly Eventful Years at a Certain School of Magic and Magic. The leading lady is like a gothic Ms. Granger as the play follows a trio of Puffs whose adventures run parallel to that trio of Gryffindor heroes in J.K. Rowling's iconic book series. It's truly a must-see for Potter fans or just fans of clever comedy. 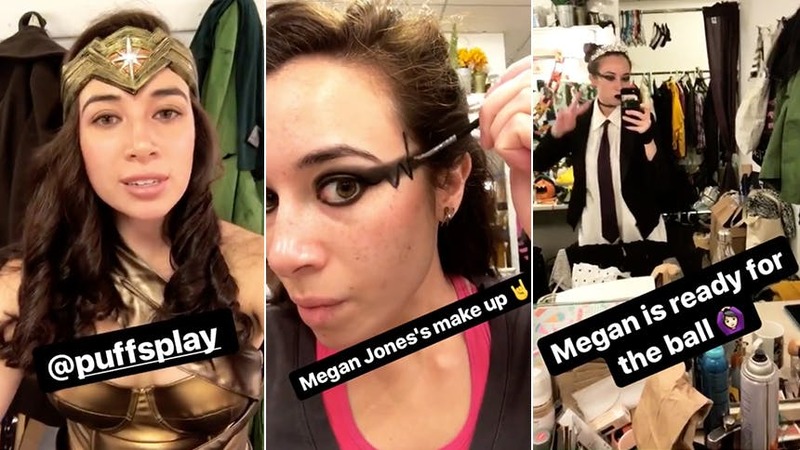 On Saturday, October 28, Julie took over the BroadwayBox Instagram for a two-show day at the off-Broadway smash complete with Halloween costumes, candy, and mayhem. Check out her day in the story video below. Don't miss Julie Ann Earls and the gang in Puffs at off-Broadway's New World Stages.